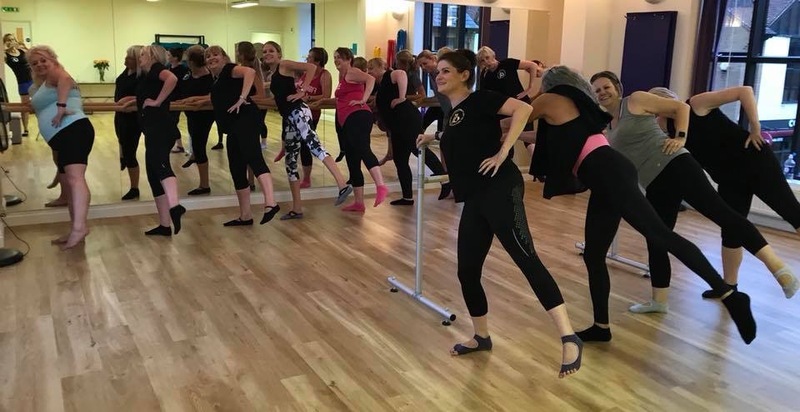 "I was unfit, overweight and quite honestly feeling miserable..."
Our Platinum Membership is our most comprehensive fitness & wellbeing package for discerning women in Swindon. Since 2007 we have been designing and delivering unique exercise classes and personal training for discerning women who demand higher standards in the quality of fitness instuction and customer service. Our clients trust us because our personal trainers care about each and every one of our members as individuals. As women in our forties, we understand the challenges of maintaining a healthy lifestyle whilst juggling other responsibilities. Our members love the endlessly positive and vibrant atmosphere and team spirit at our group fitness sessions. They love the wide range of classes we offer which rivals that of many of the large big box gyms. From Yoga to HIIT, from Pilates to running, from Mindful Eating to Upper Body conditioning, our inclusive fitness community will enhance your sense of wellbeing and support you in maintaining a truly holistic healthy lifestyle. We opened our boutique fitness and wellbeing studio in Royal Wootton Bassett, a few miles west of Swindon, in 2018 and also run a variety of fitness classes in the nearby picturesque village of Lydiard Millicent. Ready to join us? Please register to create an account to book classes online or via our MindBody app. Having reached my mid-fifties, I had settled into a comfortable life and was content - or so I thought or tried to convince myself. In fact, I was unfit, overweight and quite honestly feeling miserable at the prospect of living the rest of my life feeling tired, sluggish, unhealthy and wearing baggy clothes! The “ailments, aches & pains” that apparently come with getting older, had sadly become a topic of conversation with friends and family of a similar age......oh poor me, poor us! I knew what I needed to do, but how could I? I had a full time job, busy family life and no energy, drive or the time to change things. Having had breast cancer 10 years ago, I thought life couldn’t throw anything worse or so devastating at me, until I had another health scare earlier this year and I feared the worst, that the cancer had returned. It really scared me to think, that after already having had such a serious and potentially life threatening condition, I had personally not done much since, to help my body be in the best possible condition to fight and try to prevent this dreadful disease returning. Like many women, throughout my life I had attended various keep fit classes, gyms, diet clubs – none of which lasted very long, as I soon lost the motivation to keep going. Thankfully, the results showed that cancer had not returned. However, I really beat myself up with my stupidity of not taking the advice to eat healthier, exercise and maintain a respectable weight – the wise words, that we all hear so often. I scanned the internet to find some local help - enter JB Fitness & Wellbeing into my life. Having first attended their Weight loss Kickstart programme, to get my head in the right zone, I decided to embark on some personal training sessions with Jules. I needed someone to motivate and inspire me, encourage and support me and to push me that little bit further – I was useless at doing this for myself, which is why I have never succeeded before. Five months on, I am 2 stone lighter and feel fitter, healthier and happier than I have done for a long time. Jules has continually encouraged, supported, and taught me that I CAN do things I never thought possible. Her obvious love, passion and enthusiasm for training and exercise is infectious – even to someone like me, who has never trained or exercised seriously in her life! The thought of attending high intensity training at my age, let alone performing planks, burpees and bear crawls was daunting – but I am proud to say I CAN do all these things and the more I have achieved, the more I want to do – I’m hooked. My whole mind-set has been changed - I now exercise 5- 6 times a week in a variety of classes (from HIIT, Circuits, to Core, Barre, Pilates & Yoga), eat healthier and really look forward to going to classes – something I never thought I would hear myself say. I have met some lovely, inspiring women along my journey with JB and we are all in it together – striving for the same thing. Everyone is so friendly and encouraging of others, it is a great community and I am so thankful to be part of it. I will always be grateful to Jules and the other trainers – Shona, Christine & Manda for helping me get to where I am today and setting me up for my onward journey. Their professionalism, coupled with never ending support, encouragement and the personal attention they provide, is the reason I have succeeded this time. Long may my health & fitness journey continue and the only “aches and pains” I feel, are because I have exercised hard!!" JB Fitness & Wellbeing has taken me on a path I would never have expected, from running my first 5K to loving my twice-weekly Metafit and Core! Feel more invigorated and energetic knowing I have the support of so many wonderful strong women. Can't praise JB Personal Training enough. The classes are always fun and I have made some great friends. Whether I am outside doing Park Fit and improving my running, or inside for yoga and Metafit, the enthusiasm and encouragement from Jules, Shona, Christine and Manda is great and makes me feel fab at the end of my class. Never in my wildest dreams did I ever think I would enjoy exercising 4 times a week consistently! Thank you ladies. I cannot rate JB Personal Training highly enough. Jules and Shona have created a wonderful community for like-minded women, all striving to achieve or maintain fitness. Their classes are varied and exciting, always welcoming and easily adaptable to every level. Their positive and supportive attitude is so motivating, 18 months on from joining JB I've lost 3 stone with Jules, exercise 6 times a week, have embraced running with RunJB and am in a completely different place with my fitness and wellbeing! A truly incredible, life-changing group who have such energy for exercise & motivation it's addictive!! I lost 5 stone with Jules personal training me for a year, never doubting I wouldn't reach my goal with her encouraging me & showing me how to do it. Having partaken in every class offered by JBPT I can honestly say all of them are run with the expertise of either Jules or Shona, both of whom know their stuff thoroughly!! Even in a group situation you will be shown how to do moves correctly. Fantastic group. Jules and Shona are fantastic, motivational trainers who are very passionate in helping you achieve and maintain your fitness goals. They push you further to make you get the best out of the classes or run club and I always leave on a high. 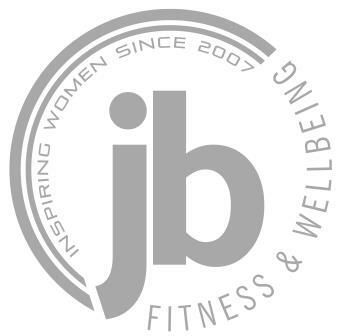 I am so glad to have found them and the JB ladies fitness community that they have built up, such a supportive group of ladies and would highly recommend joining. JBPT has changed my life in so many ways; I have lost a total of five stones with two to go. My PT sessions have been tough but worth every moment, JBPT have supported and encouraged me through my whole journey and helped me achieve things I never thought possible. It’s not just about exercise but expert nutritional and fitness advice educating me to make the right choices for a long term lifestyle change. My confidence has been given a massive boost and I am now exercising regularly at many of the fantastic classes where I have met some wonderful and inspiring people. Everyone is so welcoming, friendly and supportive, a real team spirit atmosphere and without them all I would not be where I am today. With JBPT I have learnt that there is no such thing as "I can’t!" My feedback for you guys can be nothing but 100% positive.... I've loved every session it's really got me back into fitness and has kept me running throughout winter!!! The tips and videos you post have been really helpful and will help me no end. Thanks Shona and Jules! !